Our Story - Valley Potters Inc.
​In 1978 the pottery scene in Melbourne was fairly small. Being a young mum living in the outer suburbs I had little contact with other potters. In 1978, the Year Of The Arts, I was approached by the Dandenong council to put on a pottery display at their festival. This led to me finding other potters in the area and from that the Dandenong Ceramic Group, later the Valley Potters, was born. Like me many potters worked in isolation, this gave us the opportunity to share ideas and the opportunity to exhibit our work. hot out of the kiln..."
In 1978 the Dandenong Ceramic Group was formed by a group of Potters guided by Margaret Holloway. This came about because the Dandenong Council, in conjunction with Arts/Craft Victoria, invited local groups to join together to hold a festival. Margaret was asked to organise a working display of local potters, hence the group was born. 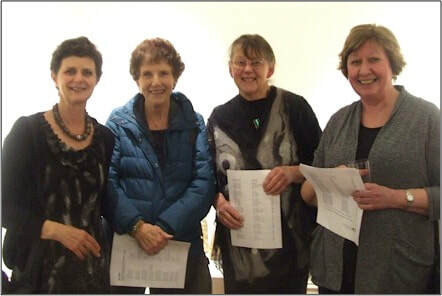 The Dandenong Ceramic group was open to anyone interested in the study of Ceramics. Our objectives still remain the same today. In 1985 the name changed to Valley Potters and was Incorporated in 1987, as the group attracted members from a wider area. Annual exhibitions are held and are open to all members. 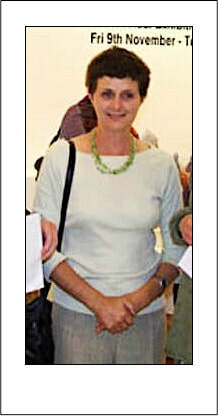 The first annual exhibition was held in 1979 and opened by Connie Driden, President of the Victorian Ceramics Group. Valley Potters hold one exhibition in November and another earlier in the year, usually between March and May, depending on interest. The annual exhibition has major prizes awarded including an acquisition award now call the "Lisbeth Duncan Acquisition Award", previous winners' works can be viewed at Clayworks, a major supporter of the Valley Potters. Valley Potters celebrated it 30th Anniversary in 2008. A major exhibition was held at Manningham Gallery, Doncaster Vic. to mark the occasion. A showcase of members' current work, as well as a display of the group's Acquisition pots were exhibited. Our Annual General Meeting is held each year in September and our membership is now approximately 50+, including Life Members- Margaret Holloway, Judi McCrum, Helen Taylor, Yvonne Strik, Glenn England and Max Campbell. These members have been recognised for their contribution to the group. In 2018 Valley Potters Inc. "ENTHRALLED" all with the largest Exhibition 40th celebration. ​a non-profit group and has received great support from sponsors, such as Clayworks, Potters Equipment and in the early years, Clover Cottage. The group is supported by a strong and willing committee, whose focus is to continue the great tradition of the group. Our founders and those members who have had a hand in shaping the Valley Potters into the vibrant inclusive group we are today.